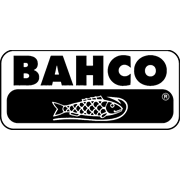 High quality S290 socket set from Bahco. 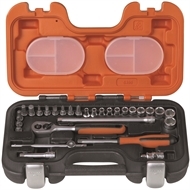 This 1/4" Square drive socket set is supplied complete with 29 piece socket and bits. 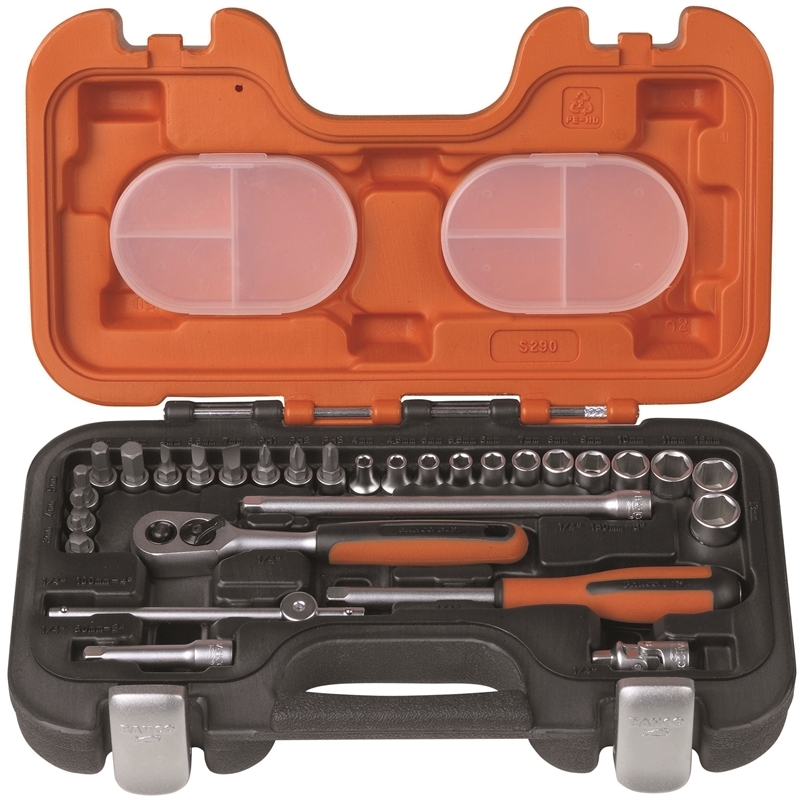 The socket set offers the most popular sizes sockets, a selection of bits and extensions plus a ratchet offering multiple positions.